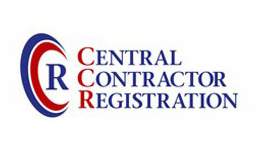 Due to the size of the dog tag section, we have moved it to its own page. Please click the link to go to the dog tag reference page. The use, location, and styles of name tapes varied greatly during the Vietnam War. 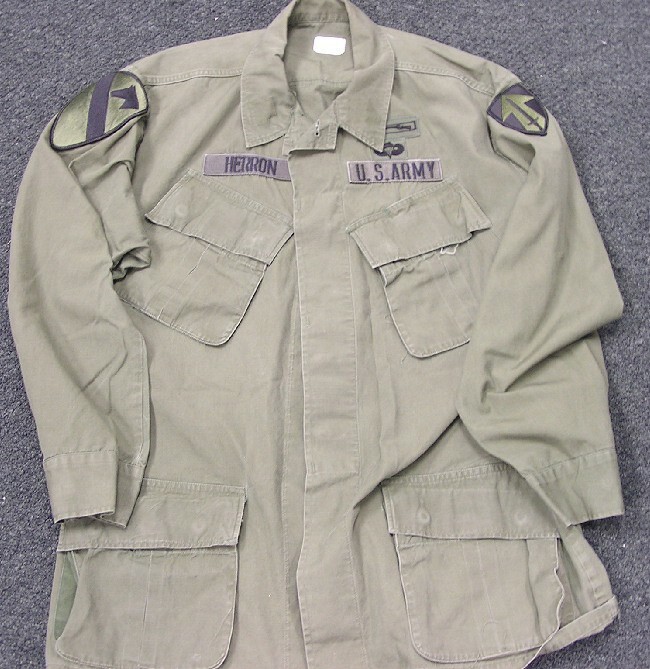 Originally, the OG-107 Utility Uniform and the Tropical Combat Coat used a white cotton web name tape placed above the right pocket. The name tape had the soldiers last name either stenciled or embroidered in black. The "US ARMY" tape was a woven nylon tape in black with yellow letters. Due to the visibility of these tapes, they were ordered to be "subdued" (black print on OD green web tape) in the summer of 1966. There are many variations on the letters, size, and type of web used as locally made insignia in Vietnam was typically of poor quality and troops were encouraged to procure their own subdued insignia from tailors and alteration shops in the states before departing for Vietnam. As for location of the tapes on the uniform, they were originally worn in a confused mixture of parallel to the ground, and angled to run along the line of the slant pocket. In February 1968, the tapes were ordered to be worn parallel to the ground or "straight". However, in September 1969, they were ordered to be "slanted" to run along the pocket flap. The idea was that it would be easier to view the entire name. Like the name tapes, divisional insignia were initially worn in full color. 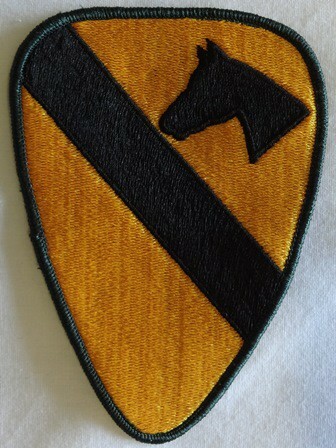 In June 1966 subdued division patches were authorized. However, due to shortages, resistance to change, and more pressing supply issues, it took until the end of 1967 to get reasonable stocks of US made embroidered subdued patches. 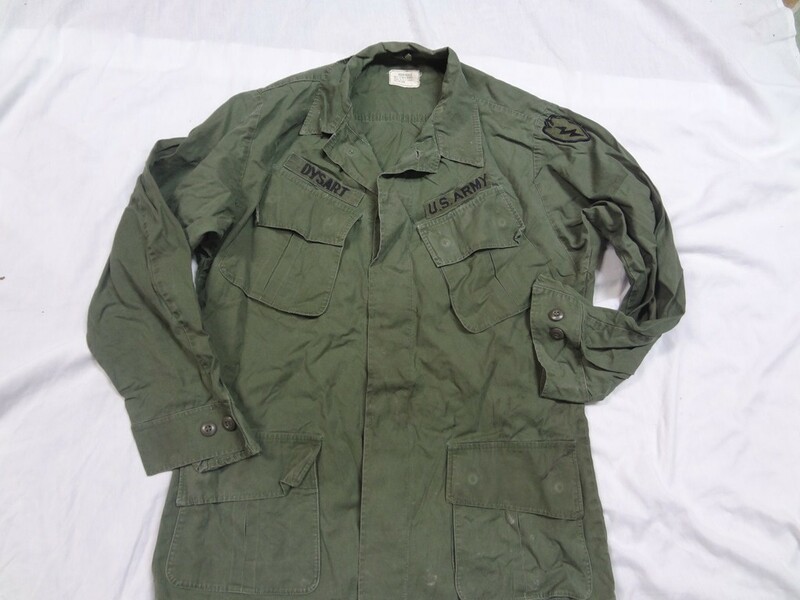 For expediency in manufacturing, these first subdued US made patches were "twill" referring to the fact that only the black parts were sewn on green twill fabric and the fabric was left exposed for the green areas. In response to the shortage on divisional patches, many soldiers acquired locally made copies of the twill subdued patches also referred to as "theater made" variants. These theater made twill patches differed from US produced twill patches in that the patch details were hand sewn in black thread on OD Green cotton twill. This gave the patches the "rough" look and made each one individual. 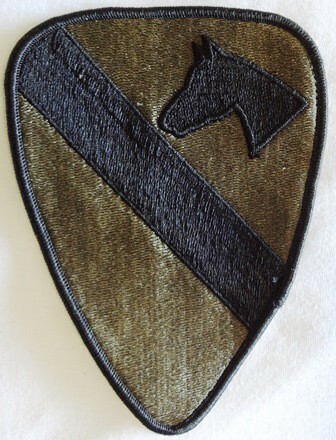 In 1968, the Army authorized merrowed edge subdued patches and began production of "fully embroidered" patches where both the black and green are sewn. Despite this authorization in 1968, the most commonly seen shoulder sleeve insignia in the 1960's were the US and theater produced twill subdued variety. This coupled with the fact that twill patches were not authorized for wear stateside, make the twill variants distinctly "Vietnam" in use. It should be noted however that some units held to their full color patches fiercely and never really accepted the new subdued insignia. Units such as the 82nd Airborne Division, 101st Airborne Division, and 1st Infantry Division can be seen wearing full color division insignia as their units withdrew from Vietnam. Like Name Tapes, rank insignia were initially worn in full color. 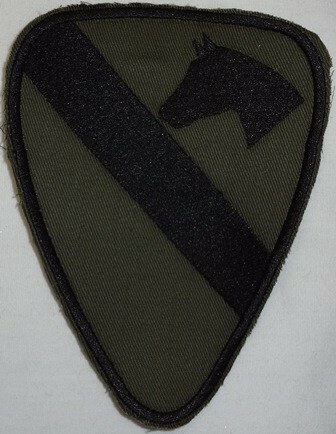 In June 1966 subdued sleeve patches for rank were authorized. However, due to shortages, resistance to change and more pressing supply issues, it took until the end of 1967 to get reasonable stocks of subdued patches. In response to this shortage and the difficulties of getting the correct laundry to soldiers who remained in various combat zones, a new solution was adopted. In July 1968, it was announced that units in Vietnam were authorized to wear pin-on subdued insignia "as available." At the same time, they announced a one year "grace" period and stated that the pin-on insignia would not be mandatory issue until July 1, 1969. After this date, all personnel in Vietnam were to wear the pin-on insignia. The idea was that the laundry could get a stack of uniforms with the correct divisional insignia to a firebase, but could not guarantee the correct ranks and on the correct sizes. By using pin on rank insignia, the soldier could simply take the pins from his dirty uniform and place them on the clean one. The use of subdued sleeve rank insignia (patches) was by far the majority through 1967 and 1968 while 1969 maintained a strong mix of both despite the mandatory announcement. By 1970 however you see almost an exclusive use of the pin-on insignia. The ever present and seldom loved "ball cap" was introduced in 1962 and made through the 1970's. One important thing to remember about the ball cap is the "quick" check to determine its vintage as this is a current production item. Both the Vietnam production and current production cap consists of six "panels" and a bill. Vietnam hats have ventilation holes stitched into all of the panels including the front two. 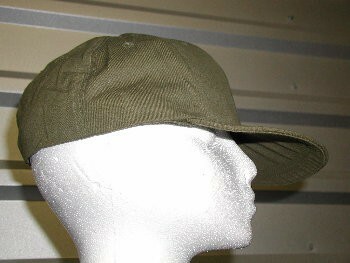 On post war hats, the vent holes on the front were left off to give it a more "military" appearance. So if it is missing the tag, look for vent holes on the front. 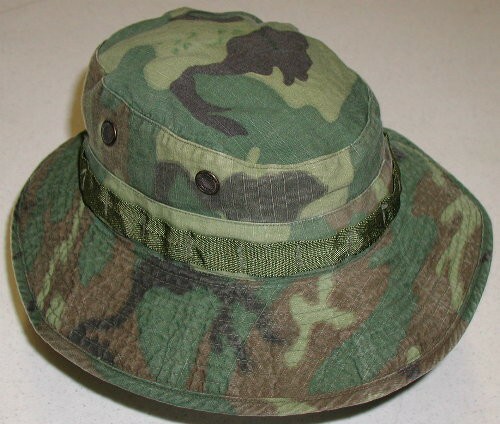 First and foremost, the Boonie did not reach Vietnam as a standard Army procured item until August 1967. The hat featured an adjustable chin strap, had a tight HBT weave nylon foliage ring, and a removable insect net which was simply a piece of netting with elastic at the top and bottom which could be paced over the hat. These hats were produced in Cotton Poplin in 1967 and 1968. In 1968, the Army also authorized the ERDL camouflage version, but they were slow to reach Vietnam and in limited quantities. 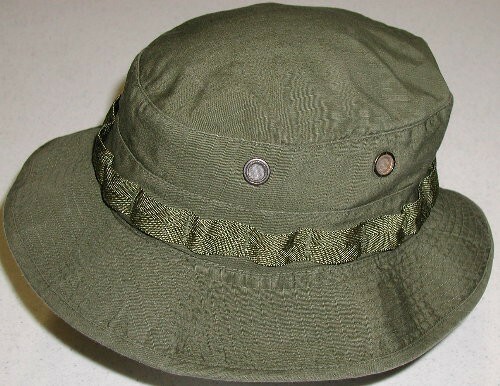 By 1969 the Boonie was produced in Cotton Rip-Stop. The OD Boonies that I have in my collection (67 and 68), both ripstop and poplin are labeled Hat, Jungle, With Insect Net, and the ripstop ERDL Boonie that I have in my collection (69) is labeled Hat, Camouflage, Tropical, Combat, Type II. In the early 1980's, the Air Force contracted a number of Cotton Poplin Boonies, but they are easy to distinguish from the Vietnam Era boonies as they (like all new made boonies) are labeled Hat, Sun instead of Hat, Jungle.